To foster authentic bike culture, a town needs more than just high quality trails. These 20 mountain bike hamlets around the country (in no particular order) offer bucket-list rides, new trail development, a variety of outdoor recreation, and a fun, bike-friendly vibe. Bike on. 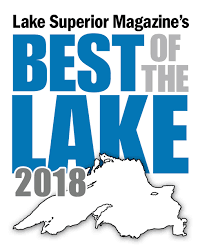 On the northernmost part of Michigan‘s Upper Peninsula, the Keweenaw Peninsula juts into Lake Superior, and on the northernmost tip of that hides Copper Harbor and perhaps the best 35 miles of flow trails in the country. The IMBA Epic trails climb and descend ridges and valleys with buff singletrack, cedar-planked boardwalks, and bridges over rough bedrock and perfectly built berms and jumps, topping out at a 550-foot scenic summit. Warm up on the Danimal Trail’s intermediate dirt jumps to prep for Flying Squirrel, an expert downhill trail with 35 features that can boost riders 25 feet in the air. Perfect your cornering on the Flow’s three miles of berms. The Copper Harbor Trails Club employs two full-time trail builders and hopes to purchase a large swath of adjoining timberland to expand the network. The first phase of the 30-mile Keweenaw Point Trail is complete; the trail will eventually follow the peninsula past waterfalls, with campsites likely along the way. The Copper Harbor Trails Fest lures enduro racers and downhillers over Labor Day weekend. Thank you Trail Genius for this amazing footage! The “take off” at Labor Day weekend’s Bells Beer Trails Festival. This is just one of the amazing Epic trails here in Copper Harbor. Enjoy!